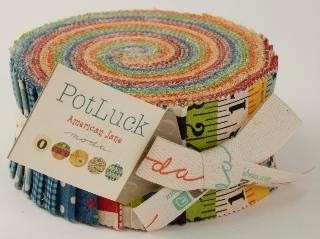 from her PotLuck fabric line! And PotLuck is a great one. Here's a little coin purse I made. and fat quarters of them. 3 fat quarters of the tape measure print. oh yes please! 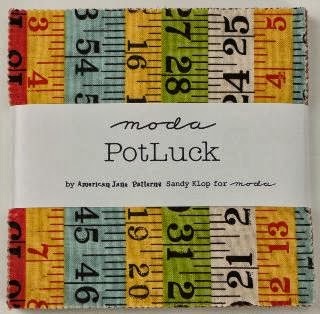 I would so love to win this - no tape measure fabric in my stash so far! I have been looking in quilt shops for ruler fabric. Yay! I found it! 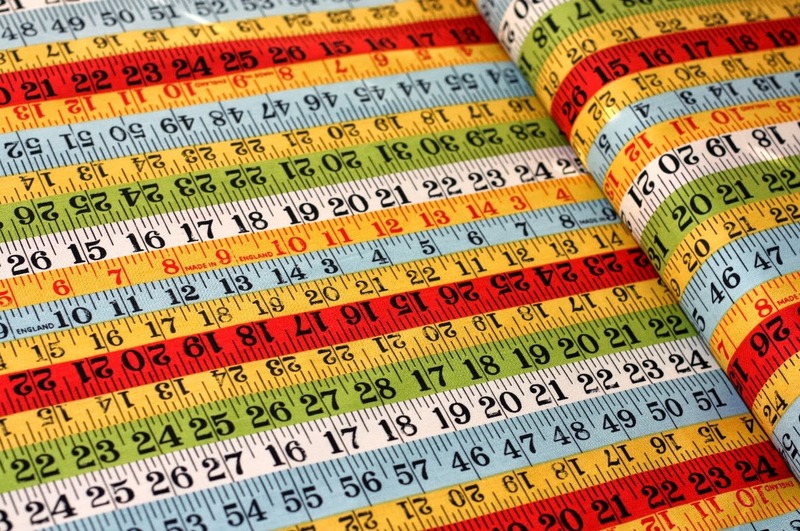 I love this measuring tape fabric, its fabulous! I'd love to be the lucky one. Thanks for the chance! The tapes are the best, love the multi one! So many things you could do with this. Would make the cutest binding ever! What a fun fabric! Thanks, Corrie. Oh the things I could do with this ruler print! Thanks for the chance! What great fabric - I love the multi coloured print! Thanks for the chance. I'm in. 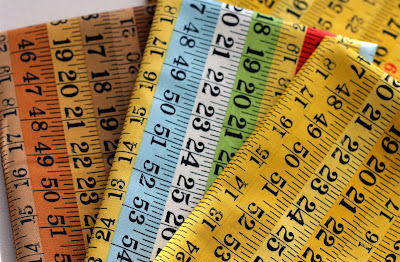 I just love this tape measure fabric. Thanks for the chance. Such cute fabric. I would love to win some. This is so fun, I could make some great pouches with it. Thanks for the giveaway. Love these prints! Perfect for so many things!!! Thanks for the chance to win! I love your little pouch! Sew cute! Thanks for a chance to win. I just love interesting fabrics to use in scrappy quilts. That way when people look at the quilts they have lots of things to discover. Love the tape measure print - thanks for the chance to win. I love her lines of fabric! The multi tape measure is my favorite! thanks! Corrie thanks for the chance to win such an adorable fabric line. This is so sweet and perfect fabric for a quilter!!! I'd love to win this cute fabric - thanks! I absolutely love the tape measure prints. Thanks for the chance to win them. I love the sewing prints and hadn't seen the ruler one. Thank you for posting them! Lovely Lovely....would promise to put it to good use! What a fun fabric line. Thanks for the chance. I would love to have some of this to await the most unusual pattern! LOL! yes, knowing that ruler print was coming out allowed me to cut into the last bit of the ruler print I bought when RECESS was still available! Yes, please! Add my name in the virtual hat! Your little coin purse is adorable :) Love this print!! Thanks for the chance to win!! Love the little purse. Very unusual material. Thanks for having a give away. I saw Pinocchio and thought that you were giving him away and I got really excited. Then I saw that it was Potluck and my disappointment disappeared. I would love some of this - I think it would look brilliant as an apron or even as a dress. Cute tape measure - where do you find all this great stuff!?? Great fabric :) Great fabric!! So cute! But then everything you show is cute and tempting! Just love those rulers. It has always been a favorite american jane fabric. Love that fabric! I was just wishing I could have some! 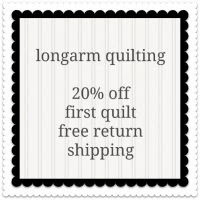 The fabric is adorable and you have the best giveaways and always thinking about your readers. This is an extra fabulous giveaway! Thanks for the chance to win! Fun print. I have some American Jane, and this would help round out the collection. Thanks for the chance to win! I love American Jane fabrics too and have been wanting some of these prints from the new collection. Always wise to hoard cute fabric! Glad more came along so you could make that cute purse! Would love to add rulers to the I Spy quilt I'm making! Thanks for the chance! Love those rulers! Thanks for the chance! This line is very fun.Thanks for the chance! Oh my, I would love to win this! Oh, what fun and how awesome is that?!? Oh my! Loving the yardstick fabrics!!! Thank you for a chance to win. 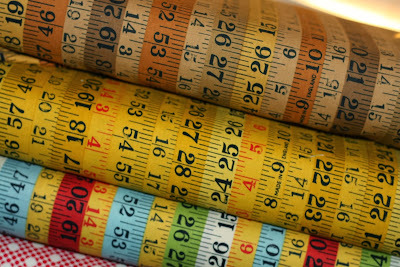 Love the measuring tape fabrics--classic! Thanks for the chance! This is a cute fabric line! I've always been a big fan of Sandy's fabric. Thank you! Looks awesome - would definitely LOVE to win some! I think this would be great binding!! 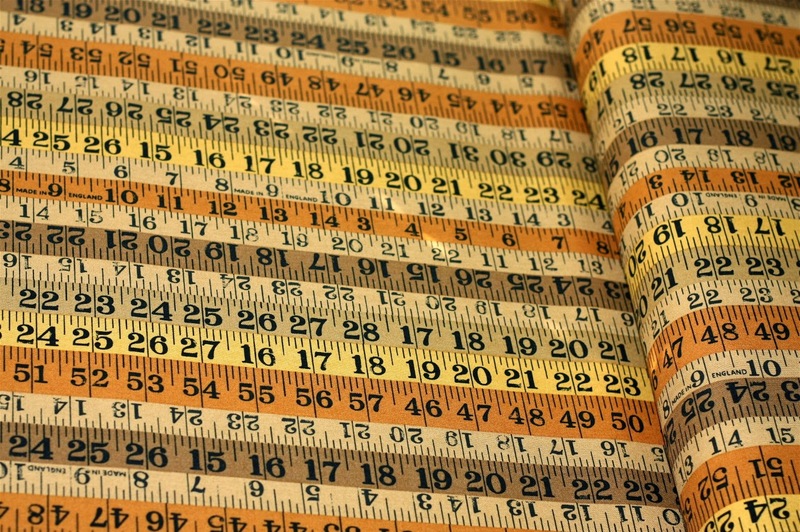 Love the tape measure fabric. So glad American Jane brought out this new collection. 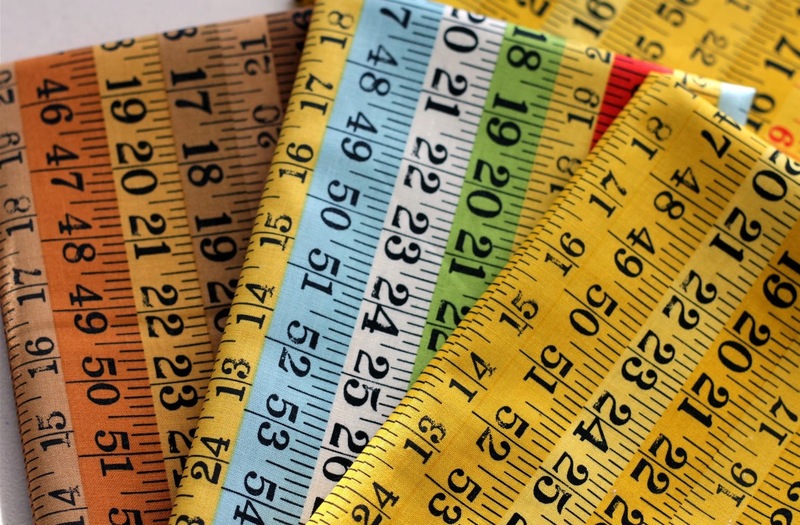 I have been wanting tape measure fabric for a long time now. Thanks for the chance. Love the rulers. Fun in all 3 colors. Thanks for the chance to win! I love the tape measure fabrics. I can see so many uses for it. Those would be great for working into placemats for kids! Thanks for a chance to win them! I just love the measuring tape fabric! Cool fabric! I would love to add it to my stash! I love tape measures, they're so neat. Having a print of tape measures would be AMAZING! I love these prints, really fun to work with and to come up with new ideas for gifts for friends. What a great print. It would be so fun to make something from this fabric. I totally love this ruler fabric! What a marvelous addition to anyone's stash! I love that print! Thanks for the chance! I have never used ruler fabric, but I want to give it a try. wow! i love all those gorgeous fabrics, please count me in. Keeping my fingers crossed! Love American Jane! Love the ruler print!!! I loved that fabric the first time I saw it, but I didn't realize the rulers came in brown! Now I love it even more! 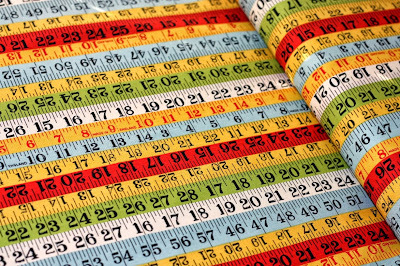 The measuring tape fabric is great for boarders, binding and even purses. Love it. HI! FABRIC IS SO NEAT! I've always loved the tape measure print - now I don't have to hoard mine anymore - yay! holy cow this fabric is awesome. I love the coin purse too. I have always wanted to make a purse with the latch that you used. I am too nervous to try. I don't know why I make all kinds of purses all the time. I need to be brave and just go for it. Maybe if I win I could make that oh so cute coin purse. wish me luck! Fab fabric! Thanks for the chance to win. Thanks for the chance...gorgeous fabric! These would be some great prints to have in my stash. I love this fabric. I bought a charm pack and have already used my tape measure fabric. Would love to win some! Measure twice, cut once! This fabric rocks! Oh how I want want want this fabric. I have been drooling over it since I first saw it.....I love it !! And I want to give it a new home. Thank you so much for the chance to enter your fantastic giveaway this week. I LOVE this fabric! The cornbread colourway is simply stunning! I love American Jane fabric! I need at least a yard and a half of the ruler fabric to fit around me.....GRIN....true. Thanks for the great giveaway. Really fun fabric. I'm glad they were brought back, too. A great fabric line. 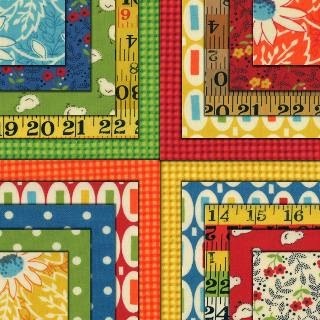 This tape measure fabric is fantastic and I adore your little Pinocchio! OMG, I love this print. I would so like to give it a new home. Thanks for sharing. Oh this is yummy fabric! 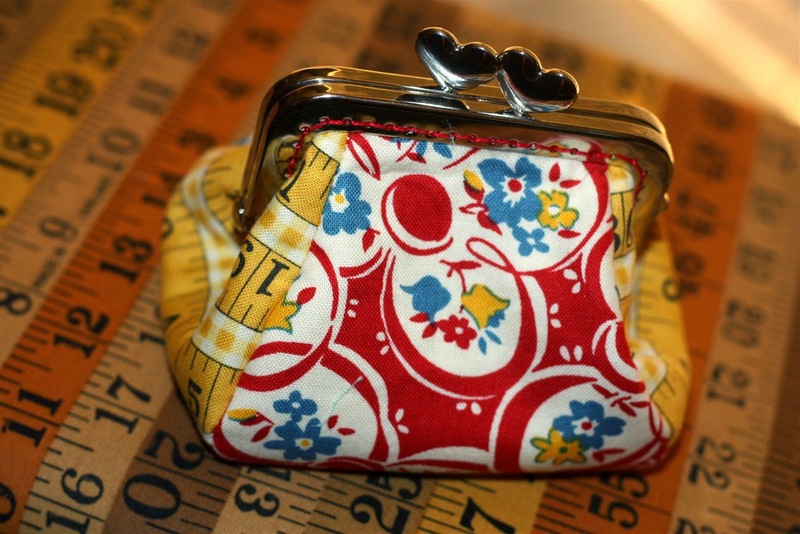 Darling coin purse and love your tape measure as well. That project is on my bucket list, hehe. I have been looking forward to the ruler fabric with eager anticipation!!! I would love to win! Thank you for the give away. Jude in Pocatello! I have liked this fabric since it came out. So cute. I would love to have it. 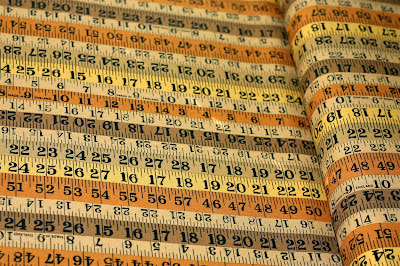 I have been sew wanting tape measure fabric! Thanks for the chance to win. This fabric is so cute!! I love the multicolor fabric. There are so many cute things that you could make with that! Love that fabric! Thanks for a great give away. Love the antique brown print. Love them..Got my fingers crossed that I am lucky enought to win. For someone who not only sews but also does construction this is the perfect fabric........LOVE IT! Thanks so much! Love American Jane fabric! I just love American Jane fabrics. Amazing. Thanks for a chance to win some. This fabric is so cute. And can be used so creatively. Thanks! I hope I "measure up" to winning! I'm glad they brought this back. I loved it thr first time around. I'd love to win some. I love this line! The pez print is so cute too! Thanks for the giveaway! I will keep my fingers crossed!! I am loving this fabric. Thanks for sharing. I love the measuring tape prints! Thanks for the chance to win them! You always carry the cutest fabrics. I love seeing the latest prints. I just got some tape measure ribbon, I surely need some tape measure fabric to go with it! What fantastically cute fabric! I don't have anything like it - thanks for the chance at another great giveaway! How cute! Love the fabric so much thanks!! What fun fabric. I'd love to win! wonderful giveaway, thanks for doing this. I love the ruler fabric. I love the new colors of the tape measure fabric. I have been on the lookout for this fabric. Thank you for the opportunity! Awesome fabrics! Crossing my fingers!